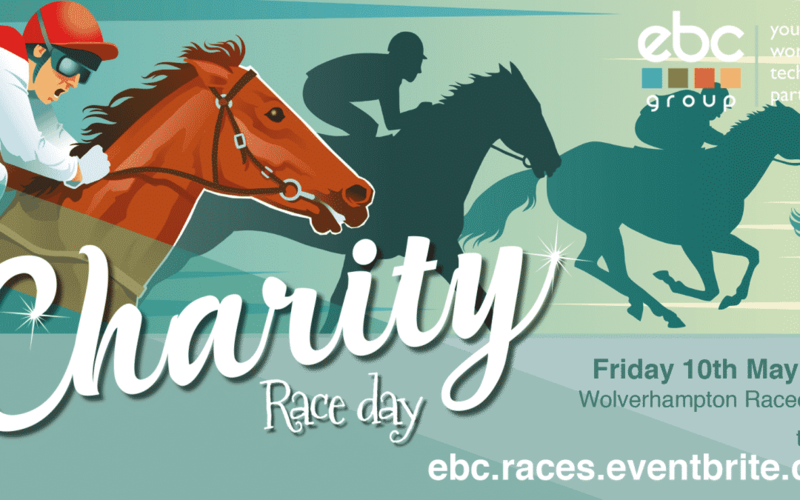 Having previously hosted a number of successful corporate race days, EBC Group are planning to make their ‘Charity Race Day’ bigger and better than ever, with 2019 marking EBC Group’s 30th Anniversary. As part of this milestone, EBC Group have launched their ’30 for 30 challenge’, with the aim of raising 30k for their chosen charities through a year long campaign of fundraising and events. This year’s ‘Charity Race Day’ promises to go long way in helping reach this ambitious total, with the hope of beating previous fundraising targets. Having previously hosted the race days exclusively for clients, EBC Group is this year opening the event to any businesses that would like to attend and be part of this fantastic day, with tickets now on sale. Group Managing Director, Richard Lane comments ‘we’re delighted to be holding our Race Day as part of our 30th anniversary and ’30 for 30’ challenge. Our race days have always been a great success, and a great way of raising money for our corporate partner Midlands Air Ambulance. This year is all about charity, and we’re encouraging all of our friends, contacts and suppliers to join us in making this day a real success. Tickets to EBC Group’s ‘Charity Race Day’ will include; VIP entrance to suite and enclosures, 3-course meal, drinks reception and vouchers, expert tipster and £20 of betting vouchers. As part of EBC Group’s partnership with Wolverhampton Racecourse, tickets are provided at an exclusive discounted rate, and include a donation to Midlands Air Ambulance Charity. To book your tickets; ebc-races.eventbrite.com, or further information regarding race day sponsorship opportunities please contact marketing@ebcgroup.co.uk or 0121 585 4400.